During the story, there is a map in Gabun Ocean Trench (Stage 7-3) with a stone platform puzzle. 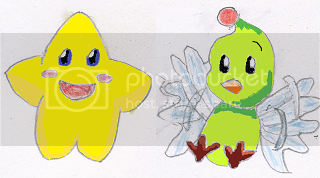 You are intended to use a bell to alternate between Starfy and Starly and have Starfy push the stone platforms out for Starly to stand on. 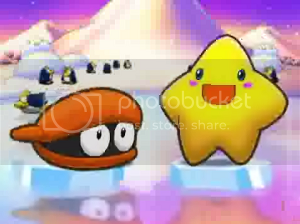 However, due to a possible oversight, Starly can stand on a tiny space next to the stone platforms while the stone platforms are wedged between walls (not pushed out) and combined with Starly's Wall Jump ability, this allows the player to bypass the puzzle entirely. This trick was documented by gocha and hogehoge61. I have a video of it in action for people who may like to see it. Oh wow! That's a neat trick! I've never knew Starly can stand on those tiny spaces near the platforms! Hehe, I should try that! Thanks for sharing that video!